Does Quad-Core Really Matter, And How Much Of A Difference Will It Make? What is A Custom Rom And Why Do You Want One? 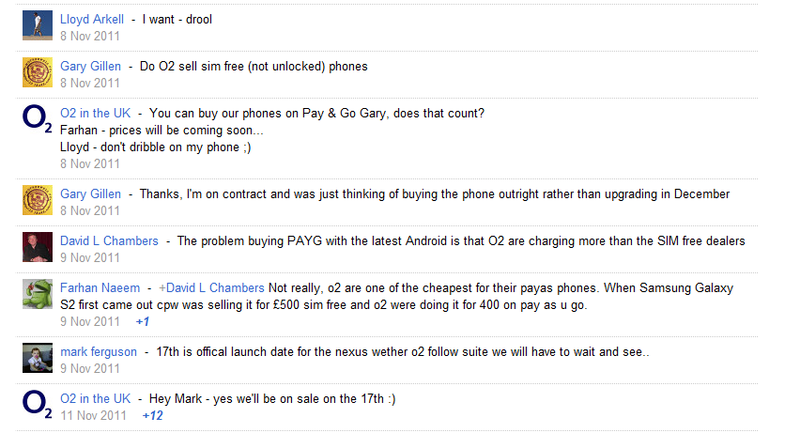 According to a post on the O2 Google+ page we can now confirm the launch of the Galaxy Nexus on November 17th. There is still no price on the phone as yet though we are now just 3 days away from seeing it in the stores which actually worries me and makes me question the validity of this post. [Editorial] Going Back To Gingerbread After Using Ice Cream Sandwich… Is It That Bad?